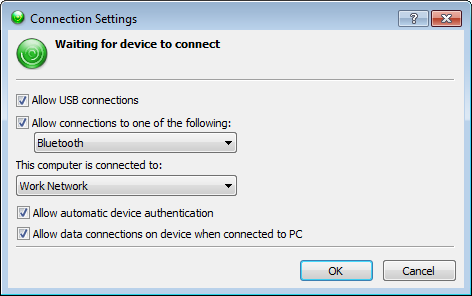 Occasionally, due to problems between Windows and Windows Mobile Device Center, it is not possible to change device settings in Windows Mobile Device Center, Mobile Device Settings, Connection Settings. For example, the WMDC main screen never appears properly, but the ActiveSync connection is successfully created. MyMobiler is able to connect to the device, and some aspects of Wasp software device connectivity are successful (e.g. software setup). It is possible to edit the registry directly to set the desired WMDC settings. 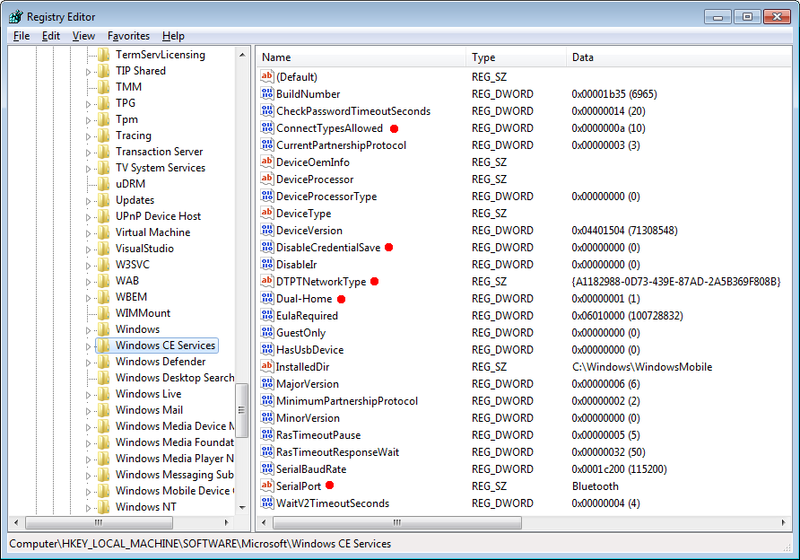 A table with the WMDC settings and corresponding registry values is below (with indications for recommended values).